While the increase in the technological innovations has seen a dramatic change in both our homes and vehicles, it should come as no surprise that air travel is also slowly evolving. Whether it is the safety of the passengers on a flight, or the technological advances, but the aeroplane sector is slowly shifting towards making air travel completely automated. Airplane building giant, Airbus has spoken about developing a fully automated compact vehicle ‘Vahana’ with battery operated power that could essentially function as a taxi for short distances. Rival company Boeing has also hinted that complete self-flying planes over long air travel will soon be possible. While this leap in public transport is admirable, many are still apprehensive over the fact. What we don’t really know or understand is that nearly all of the flights now a day are flown on autopilot. With improved advances, there are now systems available which can calculate the problems within and around the aircraft and make the changes necessary to prevent loss of life. In recent years, fatalities linking to mentally disturbed crews have also been responsible for engineers and companies in bringing about a change. With the ‘refuse to crash’ software, being used in the military over the years, the air travel companies also are investing in the same for commercial purposes. Automated control can make sure that the flight controls are not in the hands of a tired cabin crew to avoid disasters. 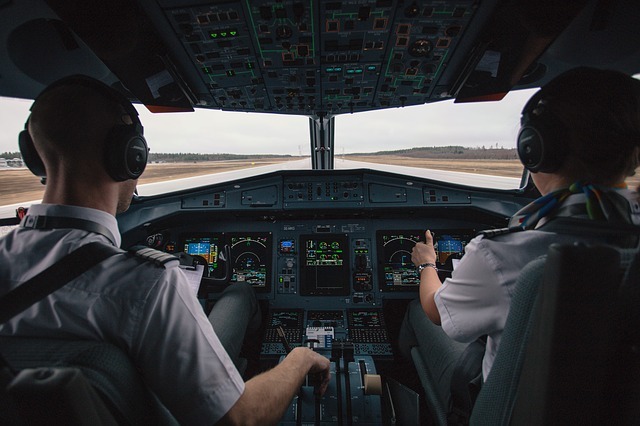 Not only is the safety of the people important, but also investing in a single captain cockpit has been estimated to save the aviation industry nearly $35billion each year. Self-flying does not mean lack of human control, as it is important in case of a fast reflex action. It simply implies that instead of a large cockpit crew, it will perhaps reduce to one pilot on the flight and the other on the ground below. Essentially the air travel is about trust. If we can place it on people today, then with tried and tested methods it can change our own future to be more safe and reliable.